Nimble, practical, versatile...AND affordable. The Cero One E-bike brings quality design, quality production, and tons of fun, together in one neat package. With a standard bike length wheel base, this bike navigates narrow spaces, parks comfortably at bike racks, and travels easily on auto and transit bike racks. The 20" front wheel offers great maneuverability and more stability by keeping the cargo center of gravity low. Shimano STEPS 6000 is the most reliable e-bike system we've worked with so you know you can rely on the system gets you where you're going on time, day in and day out! 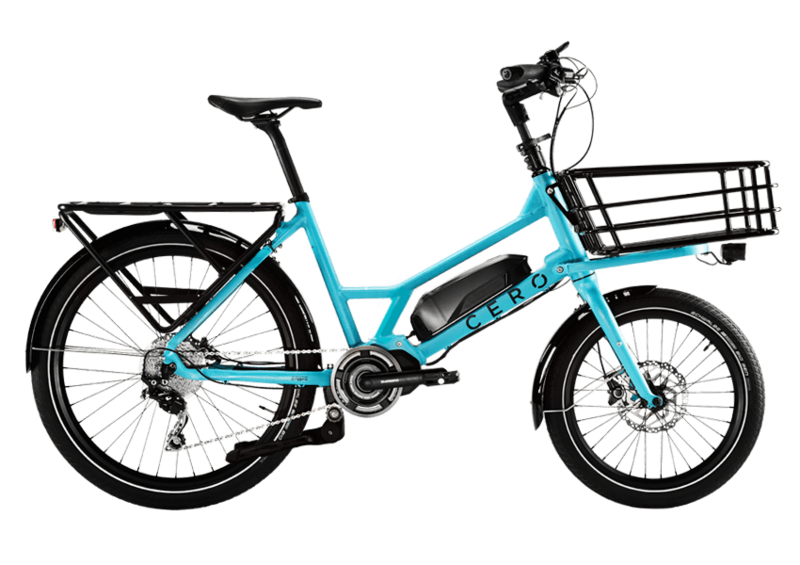 The designer of the Cero One paid attention to details, even making sure to add a stable double kickstand to make loading and unloading the bike a breeze. The step-through frame design means it's easy to get on and off, or ride with a skirt. With a variety of sturdy aluminum baskets that mount on either front or rear racks, Yepp child seat and pannier compatibility. With it's adjustable stem height and position finding the perfect fit for all family members is easy. Lights, fenders, frame lock, and puncture-resistant Schwalbe tires, mean you're ready for just about any condition. This bike is a great value with it's Aluminum frame, quality components, Shimano STEPS 6000 e-assist, Ergon saddle and grips, lots of extra accessories, and Cero's Warranty. 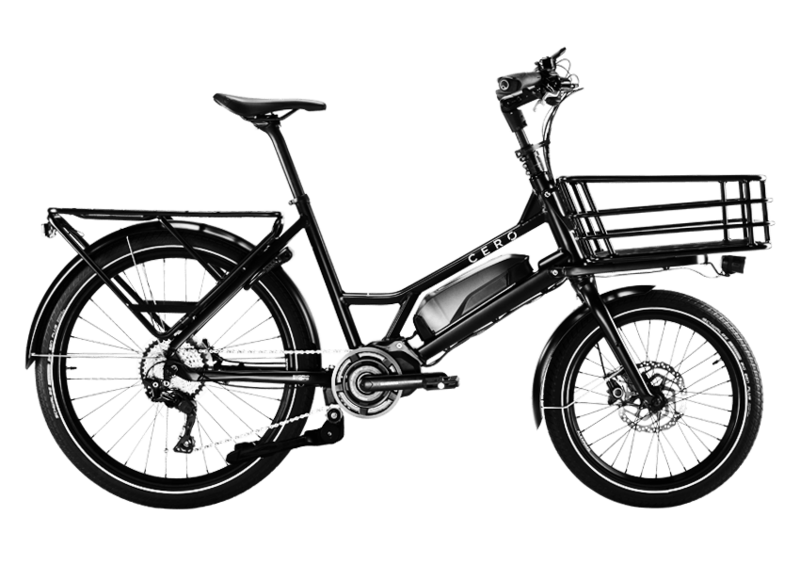 Base price includes the complete e-bike with Platform on front rack, rear rack, fenders, lights, and a ton of style!